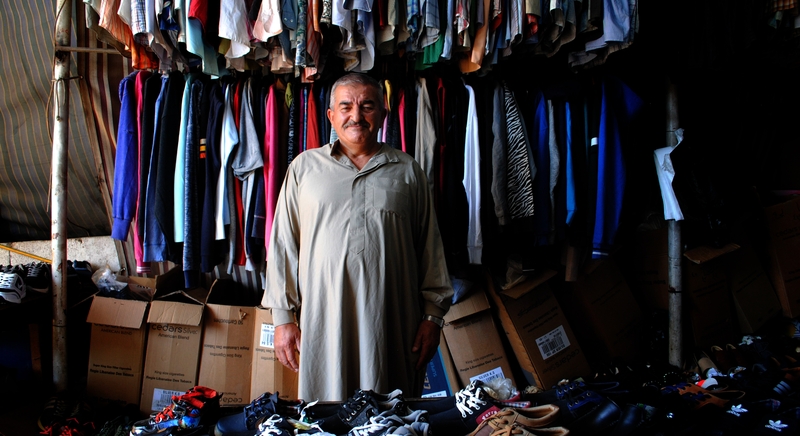 Starting a new business was not something Mohamad set out to do at 60 years old. But, after exhausting his family’s savings and with shortages of aid worsening the situation for Syrian refugees in Lebanon, he was compelled to act. When Mohamad learned a neighbor was selling his clothing business, the father of 5, who had earned a comfortable living as a car-trader in Idlib, seized the opportunity. However, he was disheartened when he discovered the quality of the stock he had bought, “I was unimpressed, it was bad,” he recalled. Refusing to be deterred, Mohamad committed to building the business from the ground up. Through training in NEF’s livelihoods project, he honed his business and customer service skills and a cash grant provided critical funds to increase and improve the quality of his stock. Over time, Mohamad has established a network of suppliers who understand him, allowing him to buy on credit, and has worked hard to ensure he understands his customers and how to deal with them.